Turquoise is an opaque, blue-to-green mineral that is a hydrous phosphate of copper and aluminium, with the chemical formula CuAl648·4H2O. It is rare and valuable in finer grades and has been prized as a gem and ornamental stone for thousands of years owing to its unique hue. 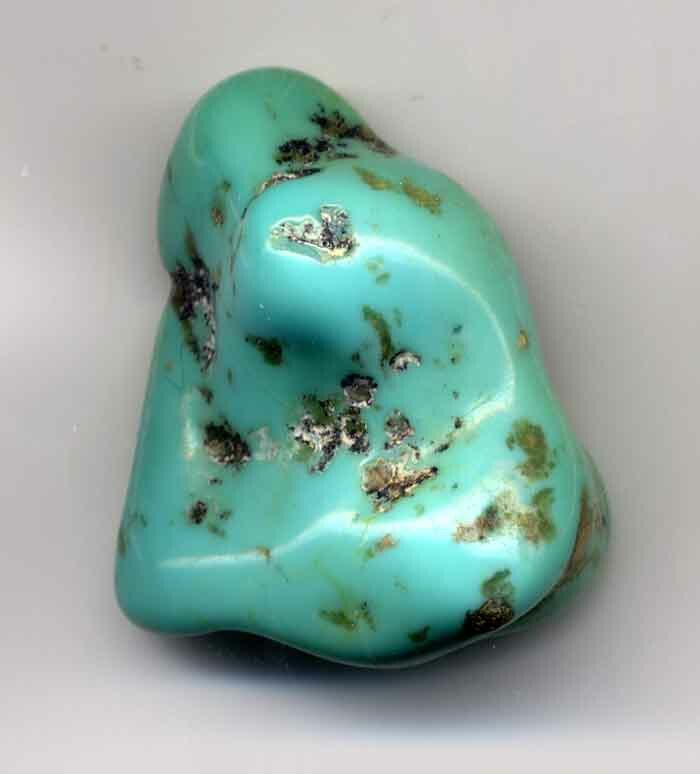 In recent times, turquoise, like most other opaque gems, has been devalued by the introduction of treatments, imitations, and synthetics onto the market.